This page lists information on books that are dedicated to the service of the MiG-21 with air forces all over the world or which at least contain larger chapters on that topic. As most of these books are only available in the country of origin the author is very thankful for every information about new sources - and for packets of books! Overview of the service of Soviet-built fighter aircraft with African air forces south of the Sahara. Providing a lot of interesting information but unfortunately only illustrated with colour profiles. Comprehensive story of Egyptian, Syrian and Iraqi MiG-21 units during the Arab-Israeli conflicts and the first two Gulf wars. With many previously unpublished pictures, but also with a lot of inconsistent information. Overview of the history of Bulgarian air Force since 1900 and survey of its current state with units and equipment. Comprehensive and very detailed history of today's most important Bulgarian Air Force. Stories from the history of Graf Ignatievo air base. History of Graf Ignatievo air base from beginning under German influence until today. Development of the ground services of the Bulgarian Air Force from the end of World War II. Larger sections are dedicated to the MiG-21. With many black / white and some colour photos of poor quality. Brief survey of the Bulgarian Air Force's history during the Cold War. With numerous documentary photographs and an overview of all deployed aircraft types - including all MiG-21 versions in Bulgarian service. 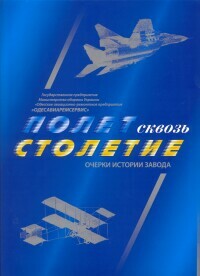 Detailed description of (military) aviation in Bulgaria from 1897 to 2000. History of the Gabrovnitsa based 11th regiment of the Bulgarian Air Force. Short overview of the history of the world's only MiG-21 aerobatic team - the August 1st team of the Chinese People's Liberation Army. Description of the birth of the Croatian Air Force and its activities in the fight against the federal army after the break-up of Yugoslavia. Beside agricultural and sports planes three MiG-21s "brought along" by their Croatian pilots were used. 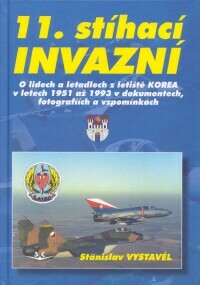 Overall view of MiG-21's service with the Czech(oslovak) Air Force basically summarizing known information from the books mentioned below and the series of articles by the author of the book in magazine letectví+kosmonautika. Detailed history of Czechoslovak / Czech Air Force including all units. With lots of b/w and colour photos. History of the 5th regiment of the Czechoslovak / Czech Air Force with a lot of MiG-21 pictures. History of the Czech Air Force base Bechyně and the fighter / fighter-bomber regiments based there which flew the MiG-21 from the middle of the sixties to the closure of the base in 1993. History of the 11th regiment of Czechoslovak Air Force in Žatec which was the first that received the MiG-21 in 1963 and used this type until its disbandment in 1993. Continuation of Říkali mu KOREA containing some known and numerous new pictures. Lavishly illustrated survey of the latest history of Čáslav AFB where all Czech fighters were concentrated in the middle of the nineties. Unfortunately without pictures of the MiG-21 retirement in July 2005. Brief survey of history and present days of Čáslav Repair Base where since 2001 all Czech MiG-21s are overhauled. Survey of the development of the Egyptian Air Force, but only with few details of MiG-21's use in the wars of 1967 and 1973. Service history of Finnish MiG-21s (and MiG-15UTIs) with outstanding photos, informative text and brief history of every single aircraft. Despite a shaky English translation probably the most beautiful MiG-21 book today. Overview of 35 years of MiG-21 service with the Finnish Air Force. 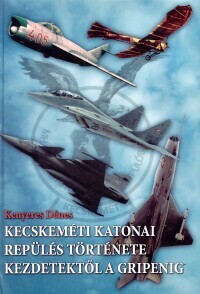 Published on the occasion of the retirement of the Finnish MiG-21s in 1998. 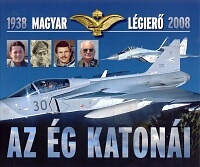 Comprehensive and high-quality picture portrait of the Hungarian Air Force between 1991 and 2001. 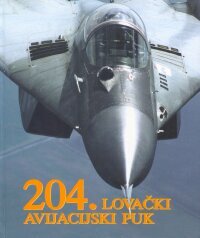 With a brief history of every single unit and numerous photos of Hungarian MiG-21. History of Kecskemét airfield and the units deployed there - among them the MiG-21 equipped 59. Vadászrepülo Ezred - from the beginnings in 1913 until today. History of three Hungarian air forces between 1938 and 2008, mainly illustrated by life-stories of pilots. Chronicle of No. 7 Squadron Indian Air Force flying the Soviet made MiG-21MF and Indian MiG-21M from 1973 to 1985. Unfortunately only with "Indian" quality b/w photos. 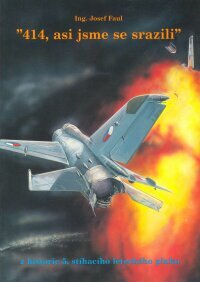 First comprehensive description of air combat during the Iran-Iraq war from 1980 to 1988. Outstanding in size and getup, but seen mostly from the Iranian view. 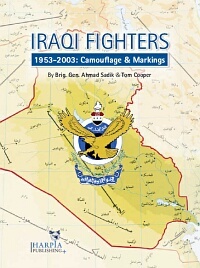 Deployment and - as promised by the title - camouflage and markings of all tactical jet fighters in Iraqi service are described illustrated by numerous, mostly well-known pictures from the web, supplemented by the colour profiles by Tom Cooper. Development and current order of battle of the Pakistan Air Force seen from Indian view. Larger chapters deal with the Indian-Pakistan wars and the MiG-21 (F-7) in Pakistan service. With many b/w pictures and the well known colour photos by Peter Steinemann. Survey of the renewal and restructuring process within the Polish Air Force after the end of the Cold War. Very short history of the Łask based 10th fighter regiment of the Polish Air Force. Detailed history of Polish 32nd recce regiment. Nice layout with many interesting Photos. History of Romanian jet aviation. 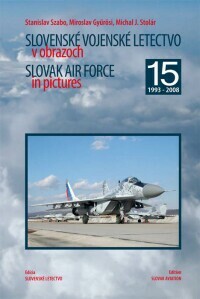 This photo book documents the first 15 years of the new Slovak Air Force since 1993 and of course MiG-21's service until 2002. First part of the history of 32nd Guards Fighter Regiment of Soviet Air Force the first regular unit at all equipped with the MiG-21 and the first one - then based in Cuba - to fly MiG-21 in combat. 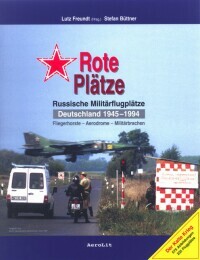 By far the most comprehensive and systematic publication on airfields of the Soviet Air Force in Germany including the former Eastern provinces. In Detail design and function if the infrastructure (manoeuvering areas, buildings and shelters) as well as based units and aircraft types - including the MiG-21 - are described. Comprehensive description of deployment of the Soviet Air Force in Germany with information on almost all aspects ranging from aircraft, airbases and units to colour schemes. The shortage of MiG-21 related information is due to the lack of sources. The revised and updated edition of this book first published in 2003 provides an overview of history, equipment and airbases of the Soviet Air Force in Hungary (and Austria) in a much improved print quality. 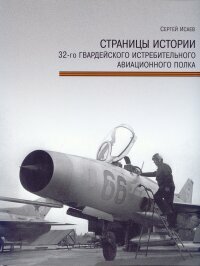 The publication contains interesting facts and photographs regarding MiG-21's service with the Soviet forces in Hungary. When Warsaw Pact invaded Czechoslovakia in 1968 almost half of the Soviet air force detachment consisted of MiG-21s. Until 1984 MiG-21 remained in inventory of the Central Group of Forces. First part of the publication is mainly dedicated to the course of invasion. Aircraft and armament are described only briefly. Documentation of the air war over Afghanistan. One chapter is about the MiG-21 - used as reconnaissance plane and fighter bomber. History of 562 Авиаремонтный Завод, named today OdesAviaRemServis and mainly overhauling MiG-21s. History of 4477th Test & Evaluation Squadron which under codename CONSTANT PEG undertook realistic threat exposure for U.S. Air Force, Navy und Marine Corps pilots from 1979 onwards, operating from remote Tonopah air base in the Nevada desert. Written from the point of view of the pilots involved, many interesting aspects of this secret operation are described. Detailed description of the air war over Vietnam - fortunately from Vietnamese view. 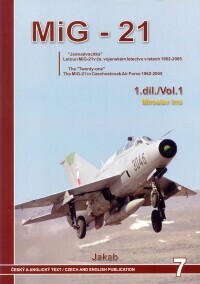 Large chapters are dedicated to the MiG-21. It has seen there its most successful combat action. 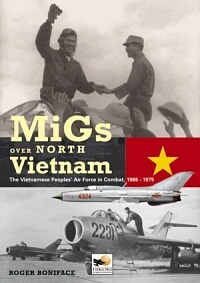 The new work of the author of "Air War over North Viet Nam" focused on the MiG-21 and its Pilots. 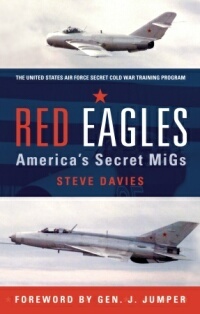 With detailed listings of all MiG-21 operations and comparison between Vietnamese and U.S. combat records. Recommendable. Wrong version details in almost every caption of MiG-21 pictures in this combat history of (North) Vietnamese Air Force make it unnecessary to read the text at all. The Russian version of MiG-21 Units of the Vietnam War is of poor quality. The author Dr István Toperczer did not even get a mention. History of the 204th fighter regiment of the Yugoslav / Serbia and Montenegro Air Force containing lots of interesting picture documents and facts.